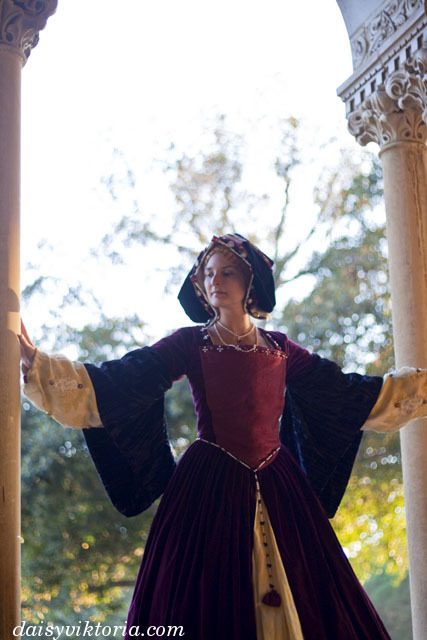 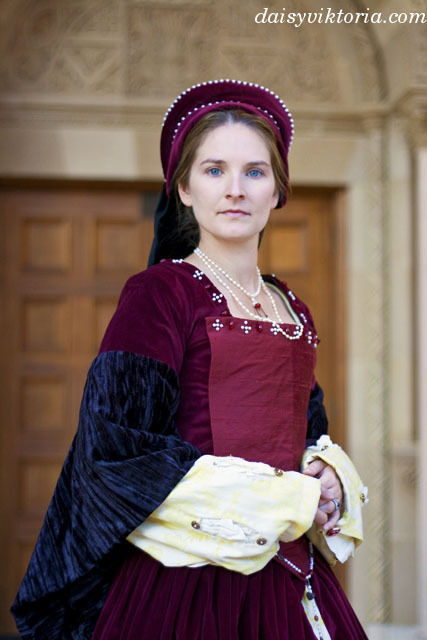 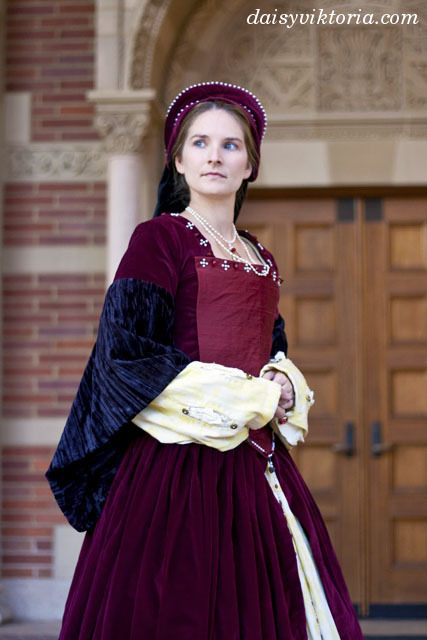 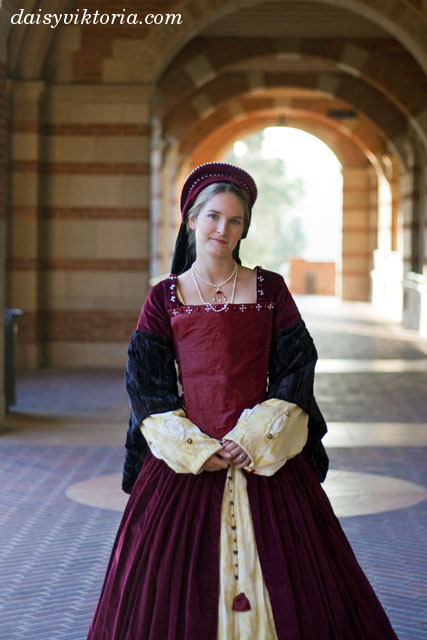 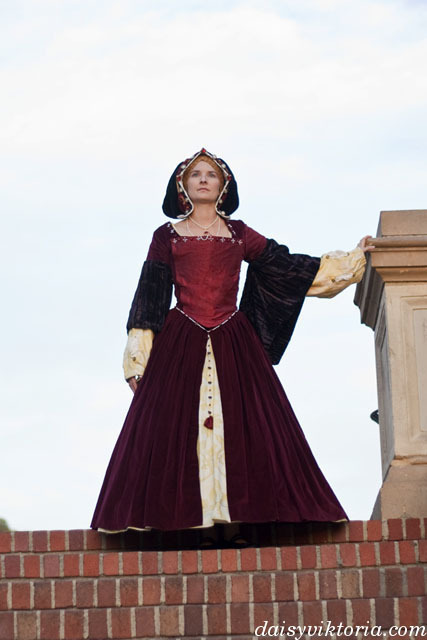 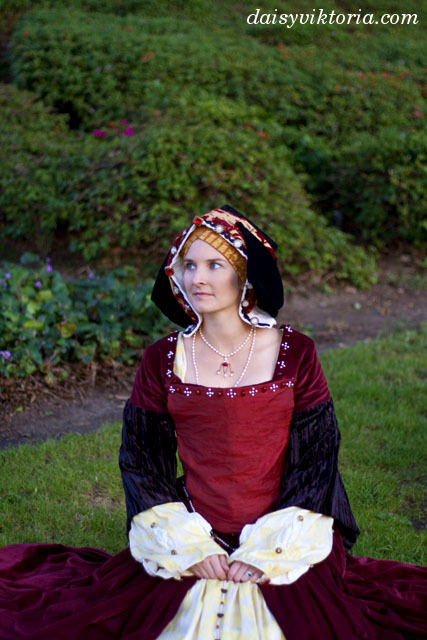 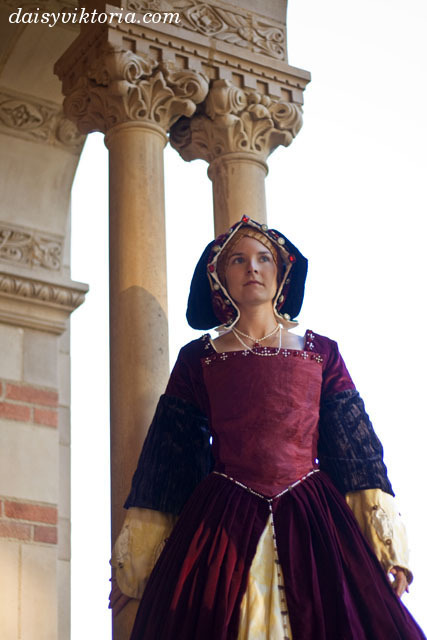 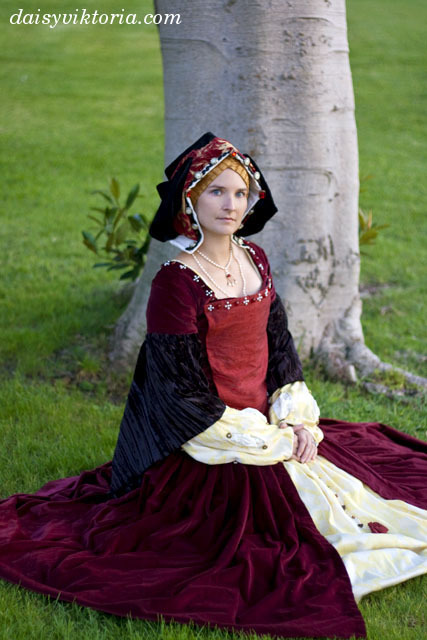 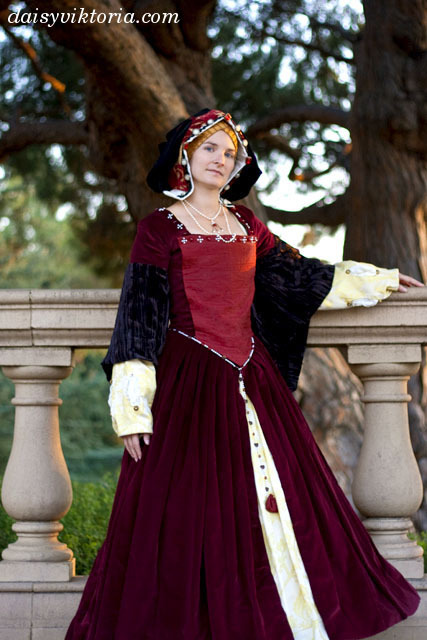 This is a 16th century Tudor gown, constructed in velvet and silk. 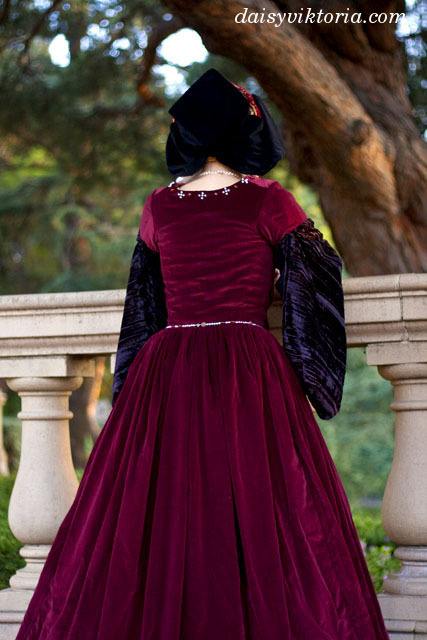 The outer gown laces in the front, covered by a decorative silk panel. 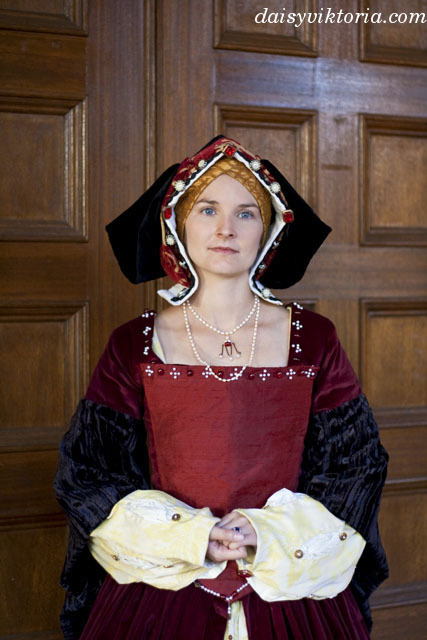 The undergown and undergarments are both shown on separate pages. 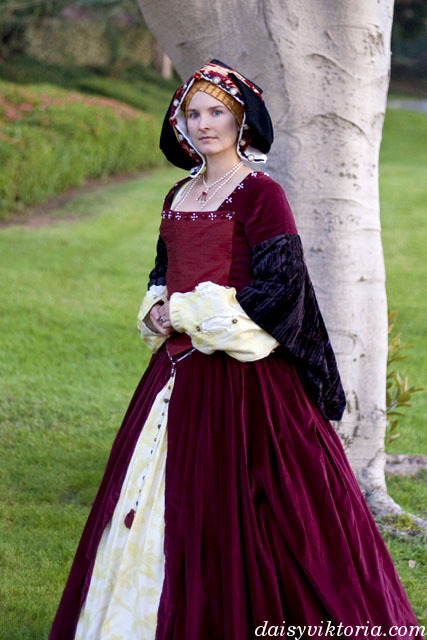 Two hats go with this dress: an English Gable Hood, shown in most of the pictures, and a French Hood, shown in the last pictures.